Anti-government protesters march outside Central American University, Managua, Nicaragua, Sept. 26, 2018 (AP photo by Alfredo Zuniga). 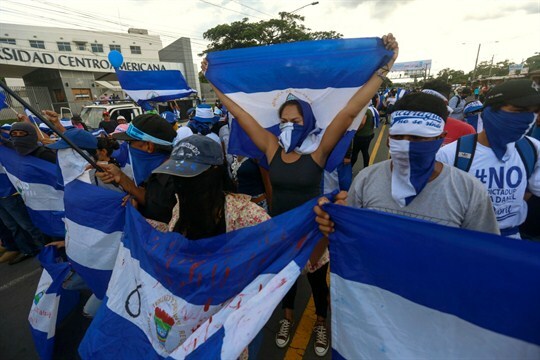 Despite recent statements from President Daniel Ortega and his wife, Vice President Rosario Murillo, that things are back to “normal” after their response to what they described as an “attempted coup,” there is nothing normal about what’s happening in Nicaragua. Following the release of a United Nations report detailing the suppression and criminalization of protests that began in April, there have been further efforts to silence government critics.